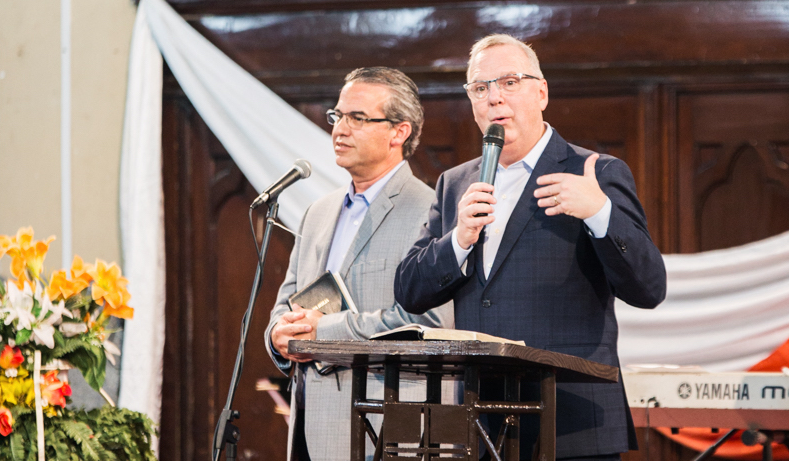 In early March, several Florida Baptists traveled to Calvary Baptist Church in Havana, Cuba for the 109th Annual Meeting of the 2019 Western Cuba Baptist Convention. 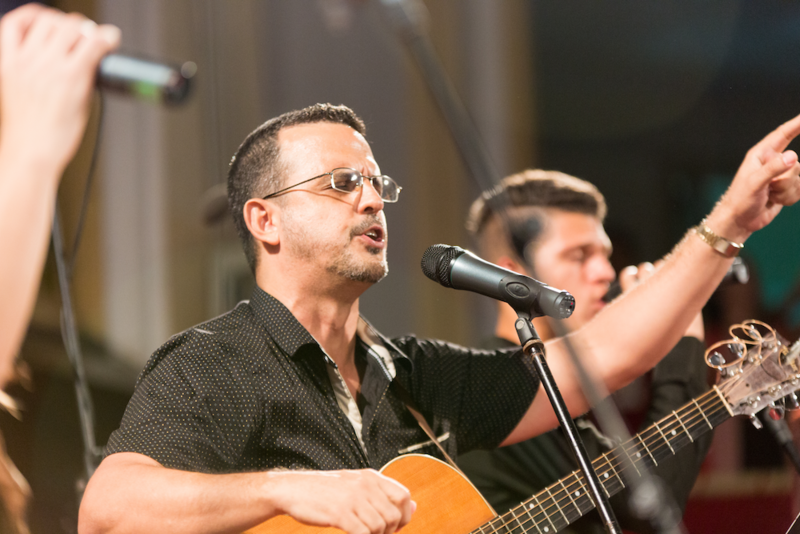 Under the theme ‘Filled With the Spirit,’ over 1,000 messengers attended the convention that consisted of worship, sessions led by Cuban pastors and leaders, annual reports, ministry updates, and a sermon delivered by Dr. Tommy Green, Executive Director-Treasurer for the Florida Baptist Convention (FBC). With the island of Cuba, located about 90 miles from the southernmost tip of Florida, the Florida Baptist Convention has extended their borders and made it their mission to be ‘Right Beside’ churches no matter their geographical location. 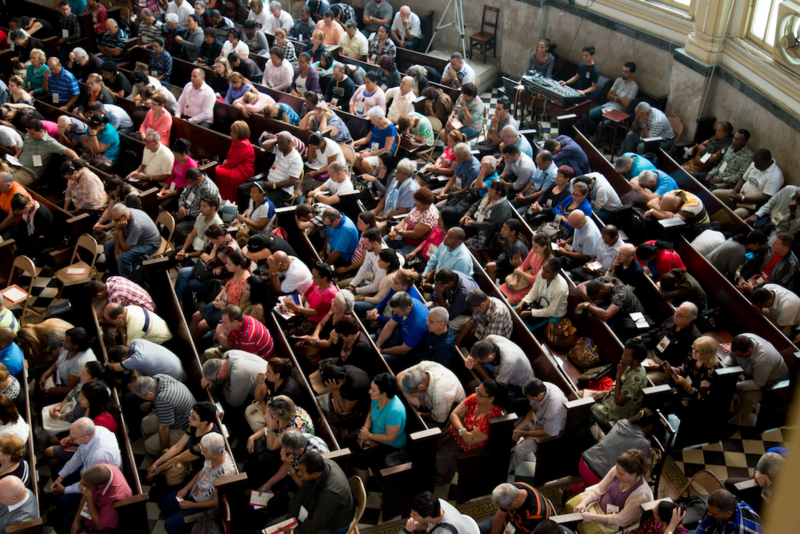 The large convention meeting, excitement in the Great Commission, and a rise in baptisms is evidence of God moving mightily in and through Cuban Baptist across the island – from east to west. Though revival is spreading like wildfire, there is still a lot of work to be done. With flights traveling directly into Cuba, it is now more accessible and affordable than ever for Florida Baptist churches to send or sponsor mission teams and partner with local churches on both sides of the island. In fact, over 35 teams from local Florida Baptist churches served in Cuba in 2018. “Cuba is experiencing revival and much excitement. Many seeds have been planted over the years and decades, and we are now getting to reap the harvest,“ says Dowdy. If you or your church would like to be a part of the kingdom work being done in Cuba, please contact Myles Dowdy (mdowdy@flbaptist.org) or Emanuel Roque (eroque@flbaptist.org). Jessica received her B.S. in Biblical Studies degree from Southwestern Baptist Theological Seminary. She contributes to Florida Baptist Conv, Biblical Woman, Baptist Press, The Devotional for Women, and more. Her greatest joy is serving beside her husband who’s Sr Pastor of Fellowship Church Immokalee.